Buying a survival knife is not a single dimensional effort. You have to focus on so many aspects of the product and it has to come through one ach single count. Imagine my dismay when I started hunting for the perfect survival/tactical knife – not that I ran short of options. In fact, the trouble is there are too many option in the market and honestly, not too many good reviews, which focus on all aspects of the product. Fortunately, I pieced together enough information to reach a decision and started out by buying my first – the ESEE 6 Plain Black Blade With Grey Removable Lined Micarta Handles 1095 Carbon Steel 57-Rc. This review looks at every fact related to the this survival knife to help every consumer understand why you should consider the product when shopping for a survival/tactical/bushcraft knife. 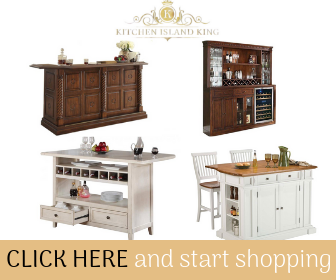 The company is directly vested in providing only the best quality products in the niche for over 17 years now. The product has been specially designed for the needs of survival training for SAR personnel, outdoorsmen, and Law enforcement officers. The knife is custom designed for wilderness survival and critical skills such as improvised medical techniques that can be performed as part of an emergency save in the field. The company started out as a survival-training hub long before it went in to production of its own custom designed knifes and gear. This gives them a unique approach to understand exactly what works on a completely functional level – especially for survival gear and tools. It is a high performance product. The practical experience of the people behind the knife’s design and production gives the product that extra bit of maneuverability, which is a need for the field. The knife has a drop point blade, which is extremely functional for a variety of field tasks. The knife is an excellent accompaniment to camping and bushcraft activities – this I can personally attest to! The best part about the tool is that it can fulfill functions where a large knife might have been more appropriate and yet it is quite compact and very easy to carry when not in active use. The ESEE 6 Plain Black Blade has received a 5-star feedback, which just generally speaks of the exalted performance of the product. Also, the tool has additional enhancers such as the trademark Linen Micarta handles, which are removable, and helps improve the functionality of the product. The knife also has a lanyard hole to help make it a better ergonomic product. 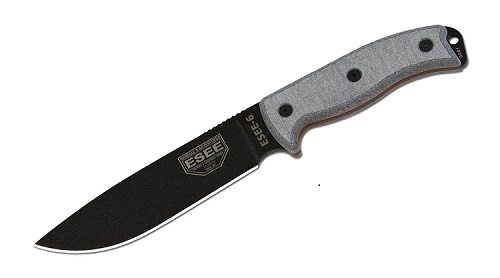 I am quite glad with the perforce of the ESEE 6. So far, I have tested it out quite a few times with camping, hunting, and general Bushcraft activities and I have to say it has performed flawlessly each time.